I recently got adobe illustrator and decided to try and create something so I can start learning how about the different tools and things. I decided to make a panda. 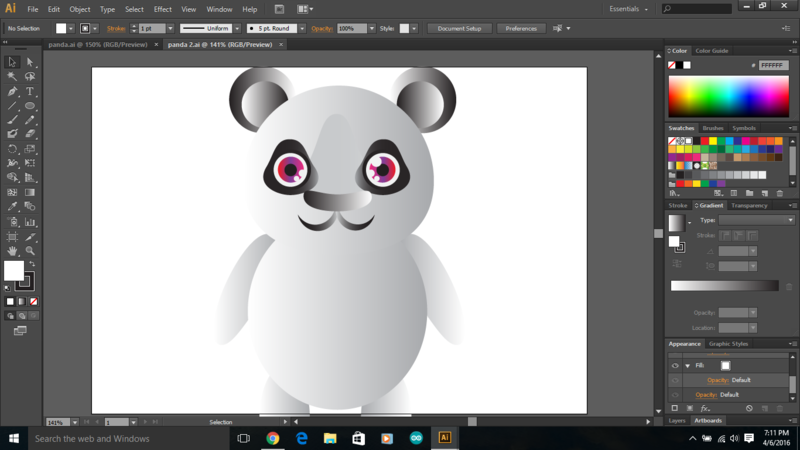 This is actually my 2nd attempt at making a panda. The first one came out pretty good, but this one came out better. The first one came out more animated. It looked like it came straight of a show for children. 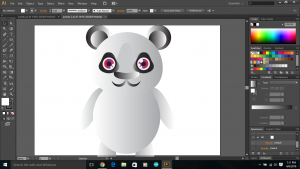 When I made my first panda I was following a tutorial on youtube, it’s very easy to follow. When I made this panda, I only looked at the video when I forgot how to do something. I was much more confident when I made this one because I already had an idea of what to do. Previous Previous post: Asking Twitter Questions..
Next Next post: In need of a story?